Dabic was a regular contributor to Belgrade's "Healthy Life" magazine, according to the magazine's editor-in-chief Goran Kojic. On January 28, 2008, he attended a conference sponsored by "Healthy Life." A video of him at the conference was made by Kikinda Television in Serbia and has been posted online by the BBC. 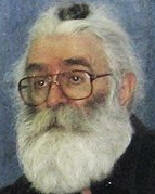 Dabic was known as a "researcher in the fields of psychology and bio-energy. "* He gave lectures on healthy living and billed himself as an expert in calmness and meditation. His website says that people are programmed to live to between 120 and 130, an age that could be reached by those who took his quantum energy treatments, which he called the David Wellbeing Programme. 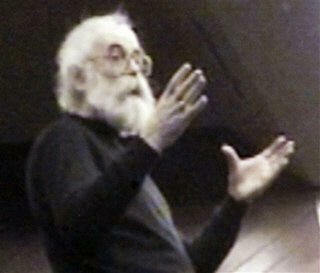 Reports from attendees at his lectures indicate that they were attended by up to 400 participants at a time. 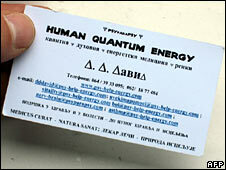 Dabic was also a regular at The Madhouse bar where he drank red wine, according to bar owner Misko Kovijanic, and was known as an expert in human quantum energy. A neighbor described Dabic as a polite man who always said hello and always wore black. * It is not clear whether the bar owner wore one of the charms Dabic sold to harmonize bioenergy and protect the wearer from evil radiation. As is usual with people who make extraordinary claims that defy a scientific understanding of the world and stretch credulity to the borderlands of sanity, nobody bothered to check Dabic's credentials or investigate his ridiculous claims. 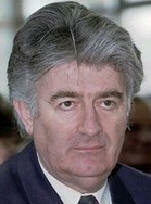 Had they done a little investigation they might have discovered that Dabic's real name is Radovan Karadžić, a fugitive wanted for genocide, including the massacre at Srebrenica and the siege of Sarajevo. Hard to believe that nice man at the end of the bar having a belly laugh with his buddies is a mass murderer, isn't it? Especially when he helps so many people with his quackery.